My friend recently took me to this cafe for breakfast. I am a big fan of Missal Pav, and I found this dish on their menu and thus went ahead and ordered it. 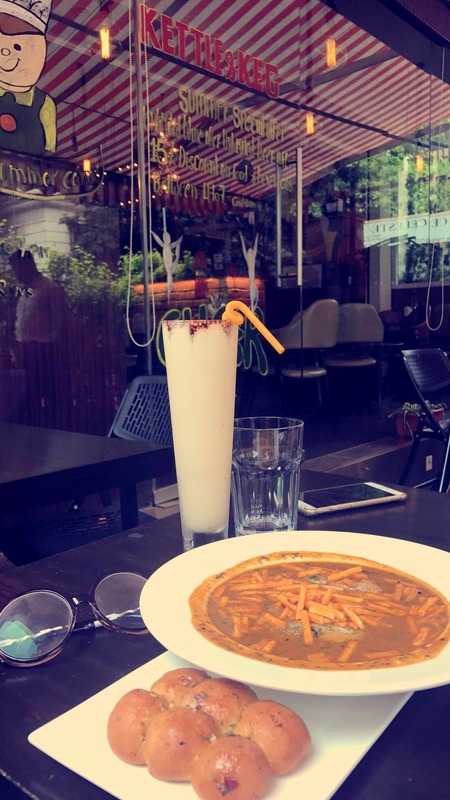 When it was served to me, It was a total surprise - as potato sticks were served instead of Missal, the pav was the soup buns brushed with garlic and butter, and in the Missal gravy, there were sabu dana and potato mash cutlets. This dish is definitely a must-try. Also, their coffee was pretty good!